Facebook has announced plans to rank the visibility of news sources based on whether they are “broadly trusted.” The mainstream media is reporting this as a win for users, and an abdication of responsibility on Facebook’s part. This couldn’t be further from the truth. If Facebook really wanted to let users determine what news sources they trust, they already have a perfectly functioning system for doing that. It’s called “likes.” If the platform were truly giving power back to the users, they would let them see news from sources that they choose, via the liking system. Of course, if Zuckerberg really wanted to let “the community determine” what news sources they want to read, their “like” system already serves as a daily multi-billion user survey. What Facebook is subtly telling users is, they don’t care what you like. Zuckerberg’s comment is a veiled attack on his own users. 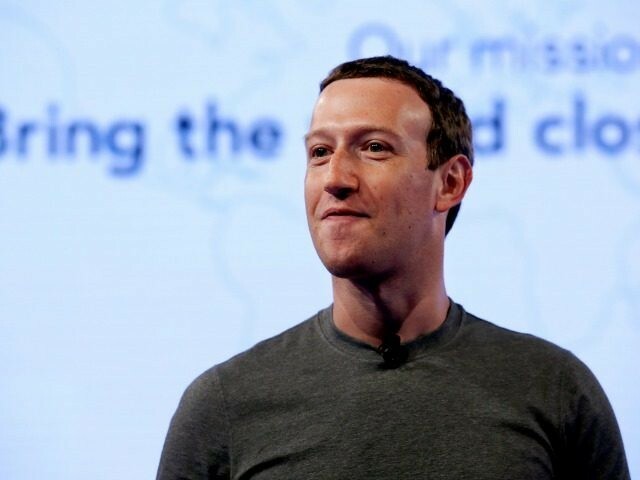 Left to their own devices, Zuckerberg believes that they gravitate towards “misinformation” and “polarization,” and need to be fed “high-quality news” by a Facebook algorithm, instead of being free to choose the sources they like. Facebook’s goal of finding media sources that are not “polarized” will be difficult in a media ecosystem that is separated into the mainstream media on one hand, who continue — with decreasing effectiveness — to claim a lack of bias, and the alternative media on the other hand, who are open about their biases. In Righteous Indignation, Andrew Breitbart praised the Huffington Post for being “openly and loudly and radically leftist,” in contrast to publications like The New York Times that conceal their biases and aspire to the same kind of unbiased, “broadly trusted” status that Facebook is planning to promote. Unless so-called “unbiased” media organizations carefully control for viewpoint diversity — and none of them are particularly strict about it — they will inevitably fall into partisan groupthink. That’s precisely what has happened to the mainstream media. To be biased is to be human. In searching for “broadly trusted” news sources, with all the connotations of unbiasedness, Mark Zuckerberg is looking for… non-humans. It’s almost like he wants the memes to keep coming.